Over the past few years we have worked successfully on numerous projects. Some of them we would like to present here. 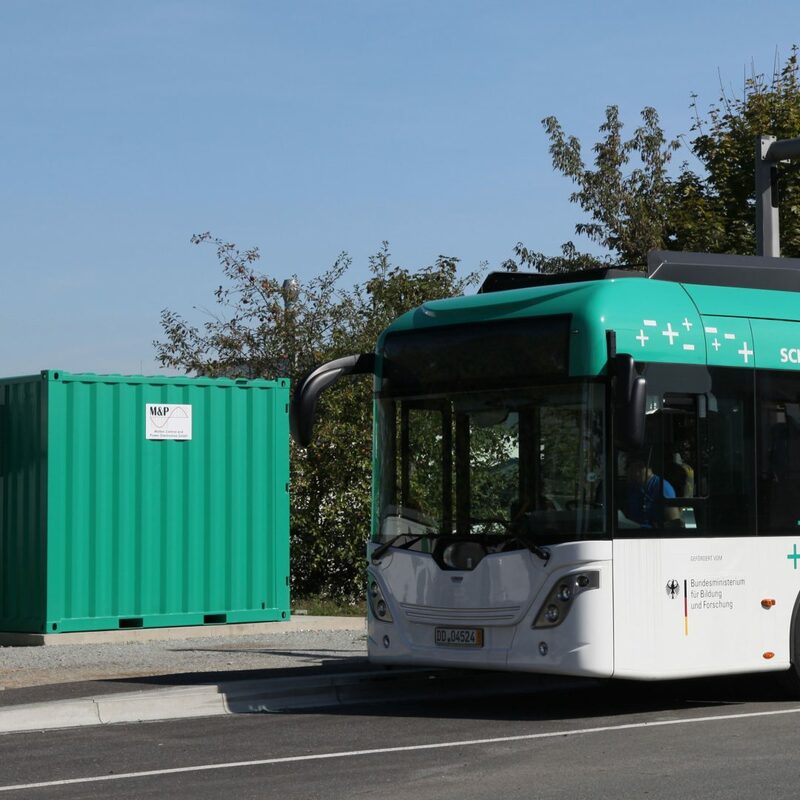 In the BMBF-funded joint project EDDA-Bus (BMBF – German Federal Ministry for Education and Research) M&P was given responsibility for the development and production of charging stations for electric buses. The main objective was to provide a continuous rapid charging power of 250 kW from the AC-grid or DC-traction network (alternatively pulse charging of buffers with up to 700 kW peak power). 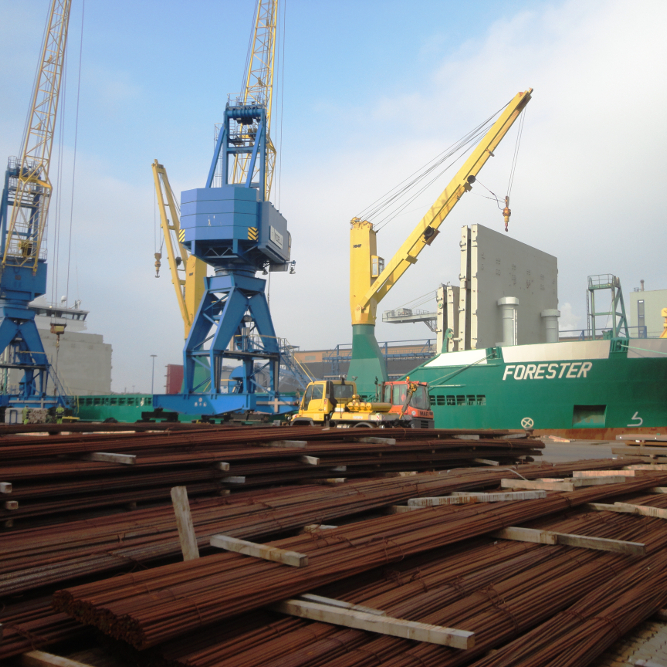 M&P also delivered a sophisticated safety and automation concept for a rapid docking process of the vehicle. 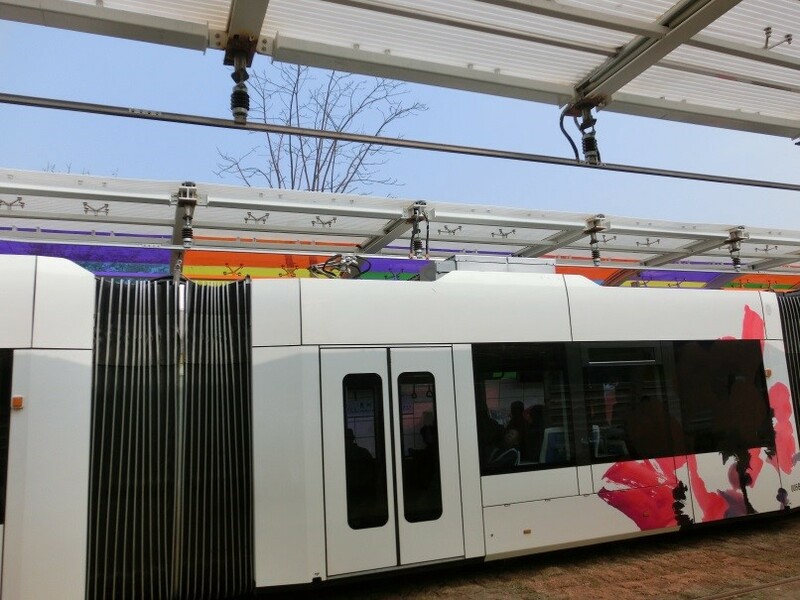 The aim of this project was the development and production of a charging station for a catenary-free light rail in Guangzhou (China) by M&P and the related provision of an average system output of 620 kW from the AC mains with a supercapacitor buffer. It can achieve a peak output of up to 1.62 MW. In addition, M&P has developed a safety and automation concept for the charging process with two vehicles. 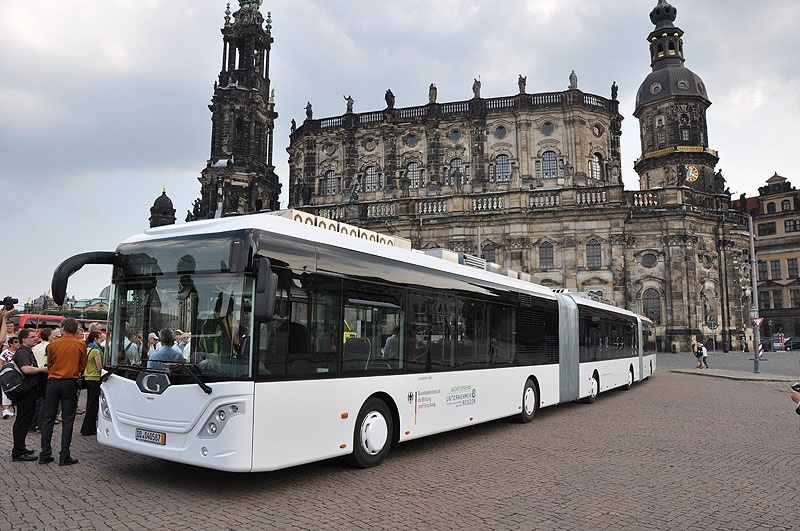 In this project funded by the BMBF (Federal Ministry of Education and Research) M&P took the challenge of the Development and production of all required power electronic components for the AutoTram® Extra Grand, the world’s longest hybrid bus. M&P also provided the software for the central control unit, which, inter alia, guarantees the energy management of the different storage systems and the monitoring of a variety of control units. In this BMVI-funded joint project M&P is responsible for the development and production of all power electronic components and development of the main control system for connecting a hybrid fuel cell system with the electrical power supply of a seagoing ship. A SCAP storage system for buffering power peaks were installed by M&P. The connection of the fuel cells had been ensured by an isolated DC/DC-Converter. The Rail Brake Drive and Control System 2 (RDCS 2) is an electric drive system for operating electrodynamic rail brakes in Marshalling systems. By providing the peak power of the electrodynamic rail brakes (simultaneously up to 4 x 400 kW) via a high-performance energy storage, the power consumption from the mains can be reduced to a maximum of 80 kVA. Because of the very low power consumption and the small required power input significant cost savings in the energy supply are given. The power electronics of the RDCS are designed with multiple redundancies from the infeed to the power provision and thus achieved a high level of availability. In the event of a mains failure the buffer serves as a USV to ensure a safe emergency shut-down. The RDCS 2 is almost maintenance-free and reaches the safety level 1 (SIL 1). Due to the high availability and very low maintenance the costs throughout the life cycle of the plant (LCC) are very low. For questions, suggestions or project inquiries please use our contact form. We get in contact with you as soon as possible.